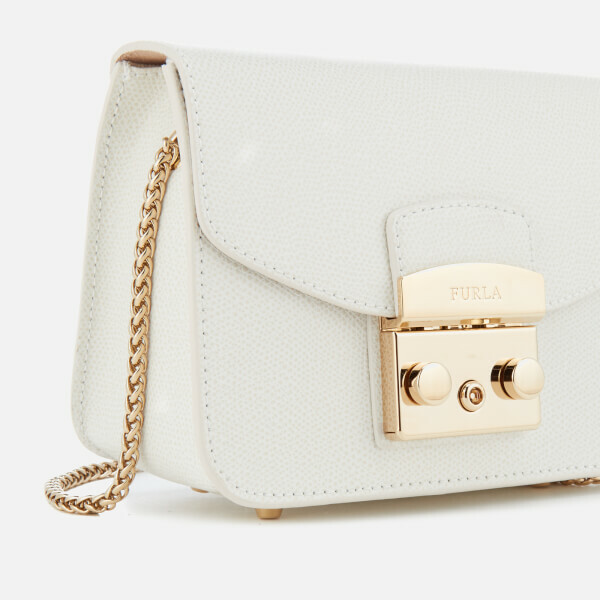 Cream ‘Metropolis Mini’ bag from Furla. 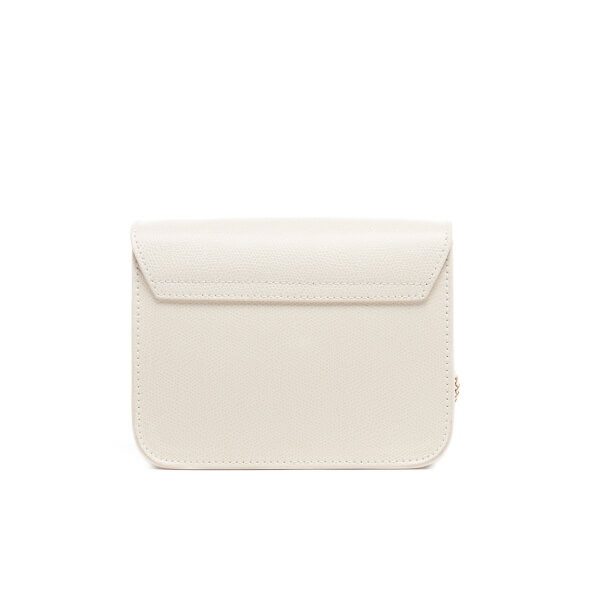 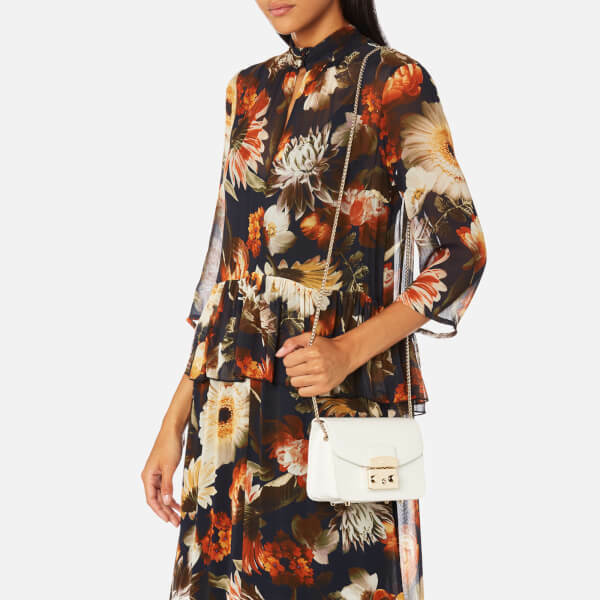 Crafted from leather, the cross body bag comprises a fold over front, secured with a gold tone, signature clasp fastening. 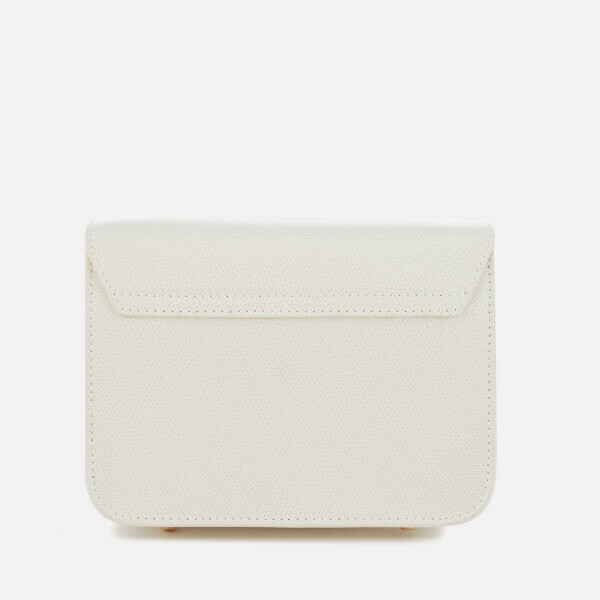 The bag opens to reveal a lined interior with a slip pocket and branding. 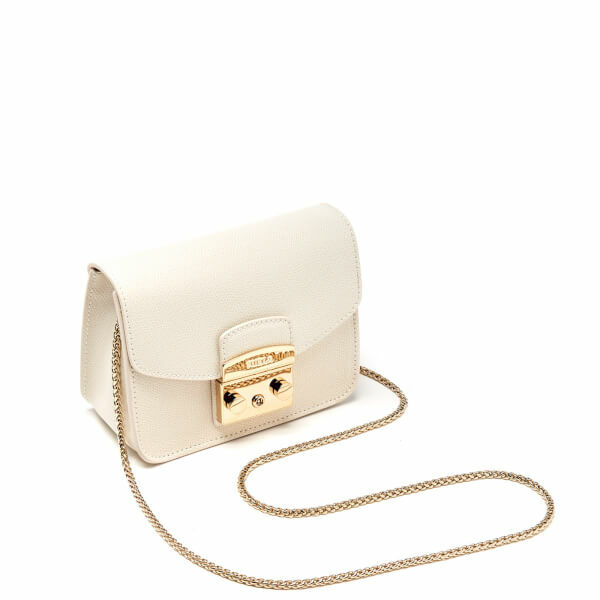 The ‘Metropolis Mini’ is complete with a gold tone chain crossbody strap and engraved Furla branding to the clasp.